I’m Ed Smith, a Sacramento Personal Injury Lawyer. People are always told to look both ways before crossing the street. This is to make sure that there aren’t any cars coming that could cause a pedestrian accident. When pedestrians are hit by cars, significant traumatic injuries can result, including trauma to the long bones of the lower extremities, abdominal organs, and spinal cord. When a pedestrian is struck by a motor vehicle, the speed and size of the car can lead to polytrauma and, possibly wrongful death. Pedestrians are prone to suffering even more traumatic injuries when they hit the ground. Among the numerous bone fractures that a pedestrian might suffer are femur fractures that result from extremity trauma. Patients who have experienced broken legs in the past understand that this can seriously impact a patient’s quality of life. A study reviewed the role that the patients' age plays in their injury status after being involved in a pedestrian vs. auto accident. The study looked at patients that had been injured between the years of 1995 and 2006. The patients were broken up into different categories based on their age. These categories included patients under 15 years of age, patients between the ages of 15 and 55 years, and patients older than 55 years of age. The fractures were divided into tibial fractures, femur fracture, and patients suffering both femur fractures and tibial fractures. Furthermore, the patients were categorized based on their gender, severity of their injury, associated injuries (such as abdominal and spinal injuries), and whether or not they passed away. Using these criteria, over 6,600 patients were identified for the study. When a physician is concerned that a patient has multiple injuries, the first step is to diagnose them properly. While an x-ray is a fast, cheap, and reliable tool to diagnose bone fractures, such as tibial and femur fractures, it isn’t always the best tool to identify some of the injuries that are associated with these bone fractures in auto vs. pedestrian accidents. There are other tools that a physician may want to employ, such as an ultrasound scan or an MRI. Patients that have ruptured internal organs may be leaking fluid into their abdominal cavity. This could be picked up on an ultrasound scan, which is just as fast as an x-ray yet doesn’t require any radiation. Patients that have a brain and spinal injury may need an MRI to get a better look at the soft tissue. Close to 30 percent of them had some sort of tibial or femur fracture. About 20 percent of the patients had suffered a tibial fracture. Seven percent had a fracture of their femur. Three percent had fractured both their tibia and their femur. As the patient population increased in age, tibia fractures became more common. While only 13 percent of patients under 15 years of age had developed a fracture of their tibia, a quarter of the patients over 55 years of age had a fracture of their tibia. Furthermore, adults fractured both their tibia and their femur at a rate that was higher than that seen in children. Regarding other variables, patients who had suffered fractures of their extremities had a higher chance of developing injuries to their internal organs as well. Finally, the mortality rate was significantly higher in patients who had suffered fractures to their extremities than those who had not. 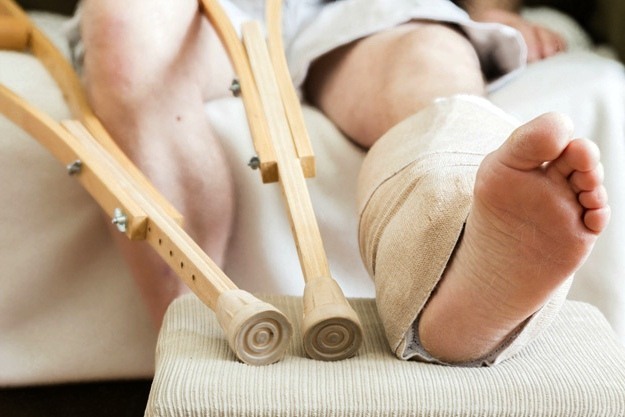 About 20 percent of patients who had fractured both their tibia and their femur passed away. The results serve to draw attention to some important conclusions. First, people who develop fractures in their extremities after an auto vs. pedestrian event are at risk for some complications that every patient and a medical professional should be aware of. Those who are involved in these accidents have a higher chance of sustaining abdominal trauma as well. These patients also have a higher chance of passing away from all of their injuries. Furthermore, the age of the patient plays a role in the type of fractures that they are likely to sustain. Children had a lower rate of tibia fractures likely because they were shorter. When thinking about where a car impacts a child vs. an adult, the tibia of a child may not reach the impact point of the motor vehicle. However, these patients do sustain femur fractures. Ultimately, extremity trauma and fractures in the leg have a high chance of causing morbidity and mortality in every patient population. Watch YouTube Video: What Happens to Your Body When You Break a Bone. This video shows different images of what a broken bone looks like. Warning: the video contains graphic images. Please use discretion. I’m Ed Smith, a Sacramento Personal Injury Lawyer. Significant traumatic injuries can result from a pedestrian accident. If you or a loved one has been injured in an accident, call me for free, friendly advice at 916.921.6400 or (800) 404-5400. You can read through our list of verdicts and settlements here. Many of our client ratings and reviews are up on Avvo, Yelp, and Google.